I would like for each of you to take a moment right now and think about your food logging for this course or in the past. Have you ever been surprised at the end of the day by the amount of calories you consumed? If you have, think about what could have caused you to have an excessive amount of calories. I am willing to guess that most of you will say that it had something to do with beverages. 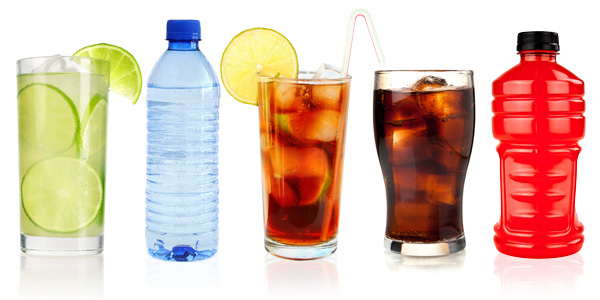 The most common source of "empty calories" comes from beverages. When we talk about empty calories, we mean something that is providing your body with calories, but has no nutritional value. As adults, some of us tend to enjoy alcoholic beverages from time to time. Alcohol fits perfectly into the “empty calories” category. Let’s say that you aim to be around 1,500 calories per day. It is not a good idea to drink 1,000 calories of wine and only eat 500 calories of food. You are missing key nutritional value if a large portion of your caloric intake is “empty.” The same goes for sports drinks, soda, coffee, and juices - they are all sources of high calories with little to no nutritional value. When we are looking to achieve weight loss, managing your beverages is often an area where great improvement can be made. Today, take a look at your food logs. Do a large portion or any portion at all come from beverages? Have you been writing down all of your beverages as well as your food? If not, from this point forward be sure to include all beverages in your food logs. My task for you today is to become more aware of where beverages are putting extra calories in your life and try make a slightly better choice than you might have otherwise!